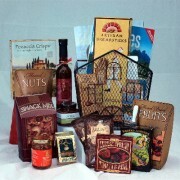 Gourmet Wine Gift Baskets can be made in a variety of ways, with many different types of wines. One can choose from Okanagan Wines in the heart of the Okanagan wine country, or wines from around the world, Red or White wines, Champagne from France, Red wines from Italy, Okanagans VQA wines, Port or Sherry. Specific grape varieties....Sauvignon Blanc, Cabernet Sauvignon, Reisling, Chenin Blanc, Pinot Noir, or possibly a wine blend such as Cabernet Sauvignon / Merlot to name a few..... 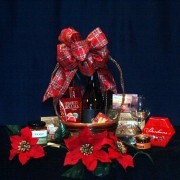 Choose your wine preferences for any gift basket on our site. 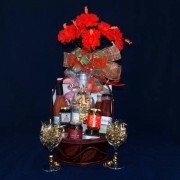 This Beautiful Gift Basket is perfect for the Honeymooners. 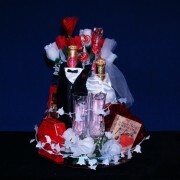 It has a bottle of Champagne dress.. 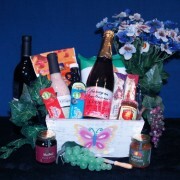 This great basket comes with a bottle Red, Sparkling or White Wine. 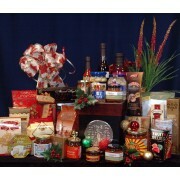 Filled with Great Gourmet Items .. 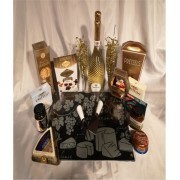 This is a beautiful Etched Tempered Glass Cheese Platter that is a wonderful table center piece when.. 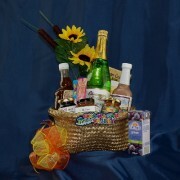 This beautiful wicker basket comes with a bottle Red or White Wine. 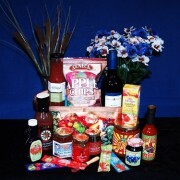 Makes a great gourmet goodie bas.. 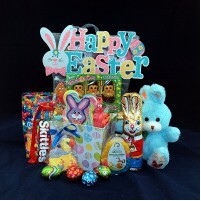 Whether you send this to the office for your corporate friend or to someone you want to say "T.. 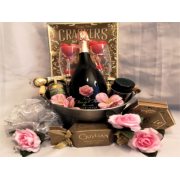 This unique gift basket can be used and re-used for many tasks after all the goodies have been eaten..
Ice Wine & Chocolates Here is the opportunity to offer somebody what Okana..
A great basket to introduce anyone to the Okanagan. 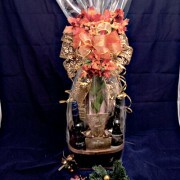 This Apple Basket holds a Bottle of Okanagan Win..
Large Okanagan Crate Here is a great way to introduce someone to the Okanagan. 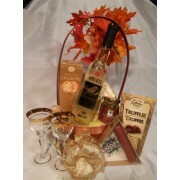 ..
Late Harvest Basket This unique gift basket is a great way to introduce anyone to dessert ..
Love Is In The Air gift basket is a beautiful gift basket that has a mahogany stained wooden wi.. 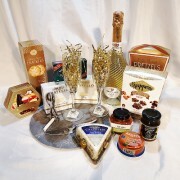 Luxury Basket This Luxury Basket is brimming full of gourmet goodies that are always a hit.. 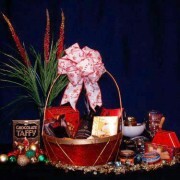 Medium Okanagan Basket Who wouldn't love to receive this Beautiful Golden Wicker lined Basket / .. 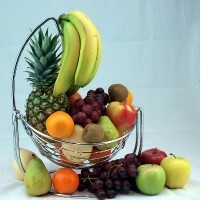 In this wooden crate also doubles as a wooden planter box, sits some delicious products made right h.. 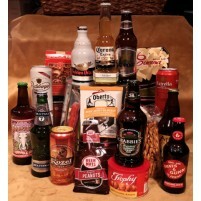 This is one of our baskets of distintction that is purely Okanagan's finest quality products f.. 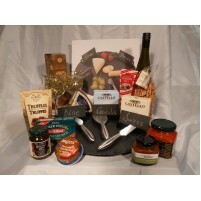 This Elegant Slate Cheese server is perfect to have for the wine and cheese enthusiasts on your gift..
A perfect basket designed to be enjoyed by two. 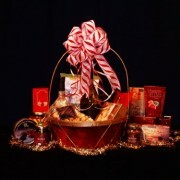 This Christmas Drummer style basket includes: ..
"Seeing her smile brings me such joy! 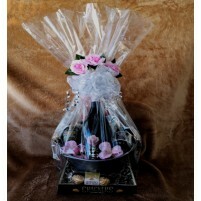 It's a lovely basket! 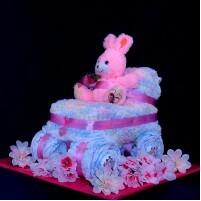 Thank you Anne Marie"
"Dear Pat: Thank you for your promptness! 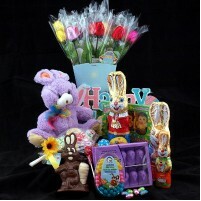 So hard to get our gifts to the boys that have a personal touch. 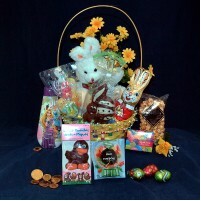 Your baskets have been wonderful and our "
"Thank you So Much! My Dad loved the basket! Best Regards MS"
"Hi Pat. 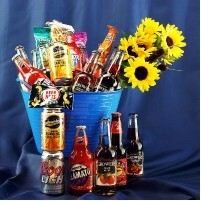 I just wanted to say thank you again for making up such beautiful baskets and making sure they got to Nicole. She took a photo and sent it t"